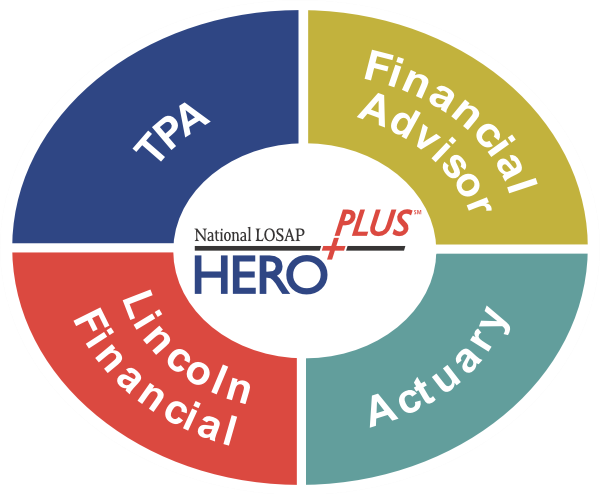 The HEROPLUS℠ Program is offered through Lincoln Financial Group. Lincoln provides the program support, investment platform, recordkeeping administration and web support. A Third Party Administrator (TPA) designs the local service agreement, provides compliance services and general support to the sponsoring agency. A financial advisor assists sponsoring agencies and their participants with investments. To learn more about Lincoln’s programs for employer-sponsored plans and what makes Lincoln different, visit LincolnFinancial.com. Access your account at LincolnFinancial.com by selecting Employer Retirement Plans in the Login section and entering your username and password.